A Swedish appeals court upheld Russia’s appeal filed earlier in its dispute with the Spanish investment funds, which were holders of American Depositary Receipts (‘ADRs’) of Yukos, Kommersant newspaper reported on Jan. 28. The appeals court acknowledged the fact that the Arbitration Institute of the Stockholm Chamber of Commerce that sustained the funds’ claims to recover $2 million plus interest from Russia back in July, 2012, had no authority to arbitrate the case. In 2007, after the former oil company Yukos went bankrupt and its assets were sold out, seven Spanish investment funds filed a lawsuit with the Stockholm arbitration court, claiming that Russia is obliged to compensate for their investments following the alleged expropriation of Yukos by the Russian state. The jurisdiction over the dispute was acknowledged based on the bilateral investment treaty signed between Spain and the Soviet Union back in 1990. The arbitration court allowed the claims from four investment funds to proceed, acknowledging its authority to arbitrate the dispute. Russia challenged its competence in arbitration court, and then did it again in a district court in Stockholm, the Swedish capital, but eventually succeeded only in the instance of appeals. 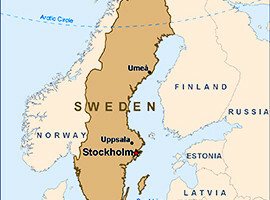 The Swedish appeals court ruled that the bilateral treaty allowed the Stockholm arbitration court to judge only the disputes over the amount, and procedure, of repayment of the compensation, while matters other than these (specifically, the facts of the investments and the expropriation) were not governed by the Spanish-Soviet treaty, if construed literally. Meanwhile, lawyers say that the fact that the investments were actually made into the Russian economy, appears quite disputable itself, since the Spanish funds had bought Yukos ADRs from Deutsche Bank and not shares in Yukos themselves. The appeals court’s judgment can be appealed in Sweden’s Supreme Court until February 15. “Once it has entered into force, Russia may demand the reversal of the judgment from the Stockholm arbitration court on the compensations to be paid to the benefit of the Spanish funds,” Roman Zykov, General Secretary of the Russian Arbitration Association explained. Moreover, the ruling of the appeals court strengthens Russia’s position in challenging the decisions of the Hague arbitration court that awarded $50 billion to shareholders in the former oil company, he said. “Since the Hague judgments were based on the Stockholm arbitration decision, Russia may challenge these conclusions, with regard to the ruling from the Swedish appeals court,” Zykov said.